could not come up with anything. It was not jealousy or anything, I just could not put my finger on it. Although I must admit French women do have that je ne sais quoi about them. I love how they manage to always look so effortless in anything. 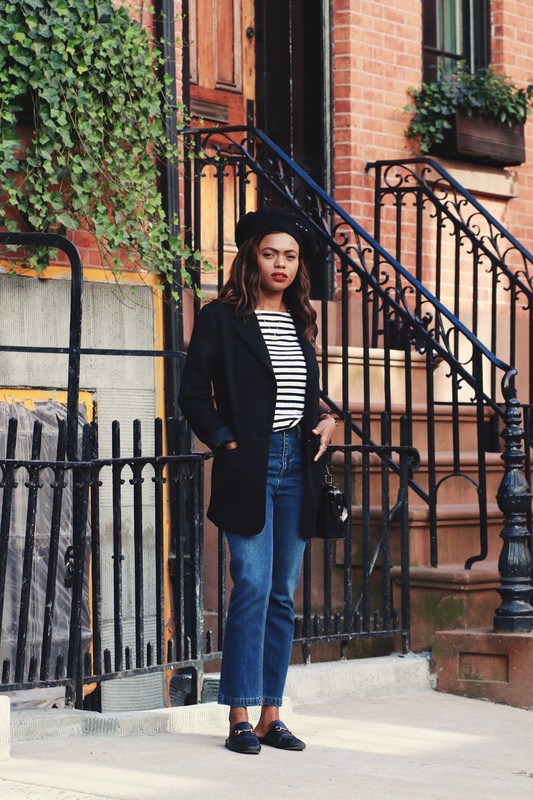 With Paris fashion week happening right now and my timeline being flooded with everything Parisian, I am inspired to add some Parisian style to my wardrobe. 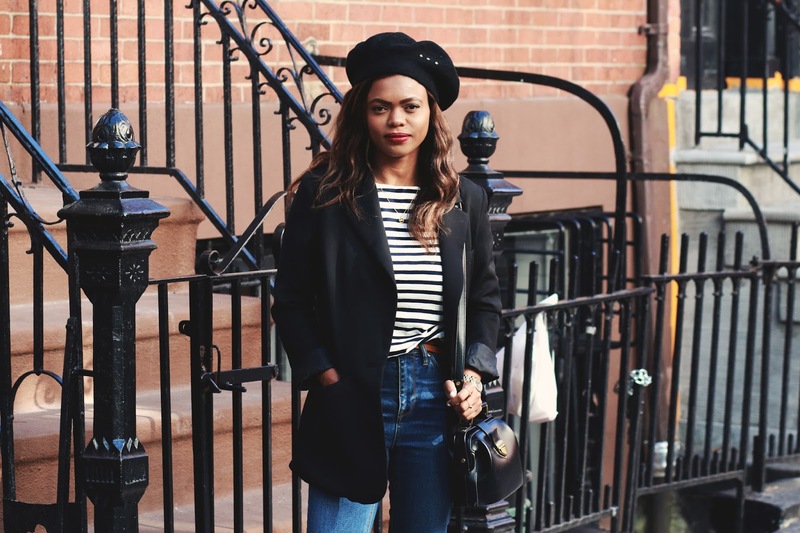 I can always count on a beret to look a lot Parisian or Samuel L. Jackson, you tell me. 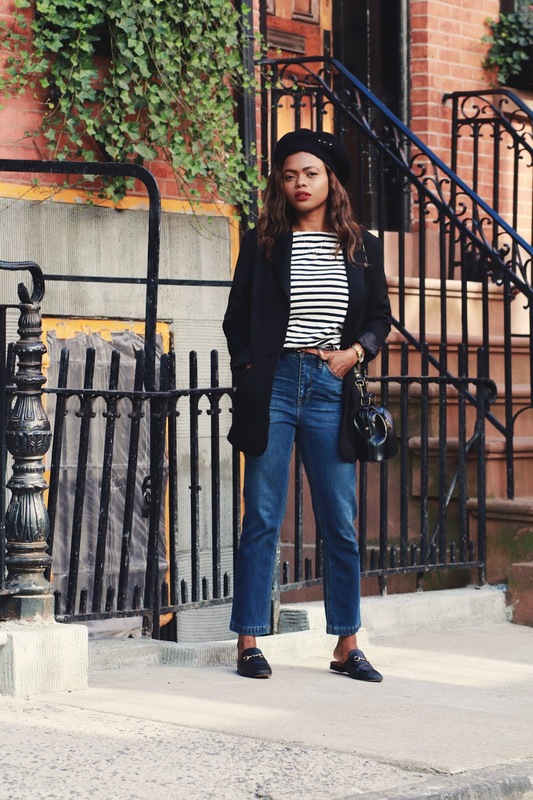 You can always count on Jcrew for a good old stripe tee. 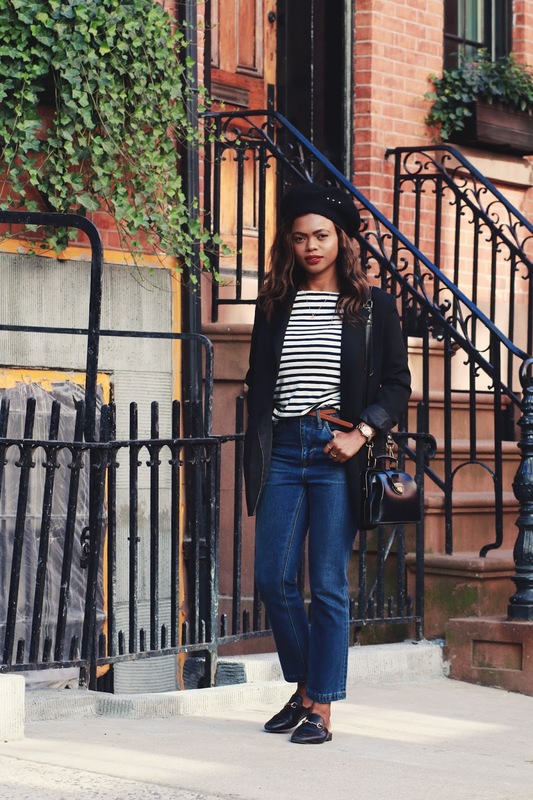 Pair them jeans and red lipstick and voila! 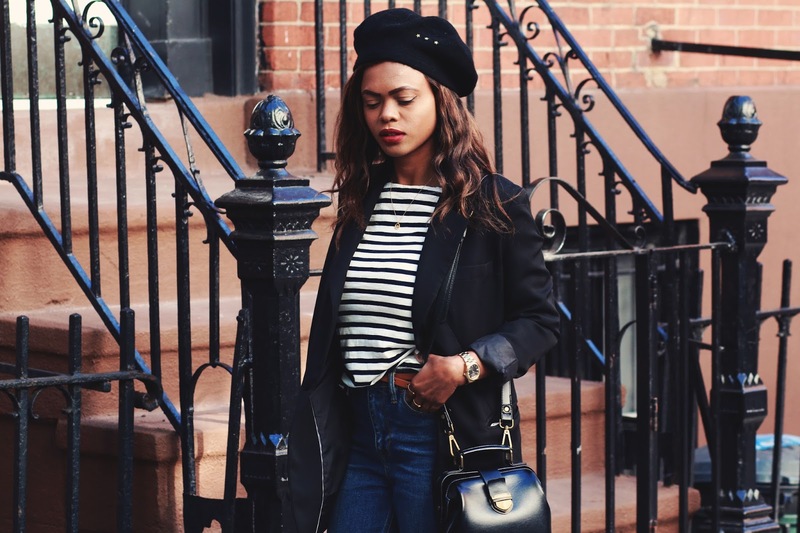 Parisian Style. You wear blue jeans so well, makes me want to buy a pair as I had stopped buying jeans a while back.